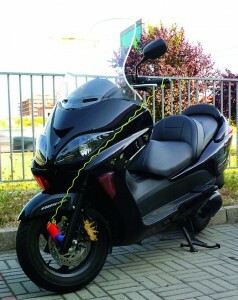 There are many security systems on the market to safeguard 2-wheeled vehicles: mechanical and electronic devices. Today we are featuring a widely used category: the disc lock, which is often chosen as it light and practical to use. However, not all disc locks are the same and it is worth selecting a product that meets the specifications necessary to ensure true protection. The quality of the materials used for manufacturing a disc lock is one of the major factors which determine the solidity and, consequently, its ability to withstand attempts to break it or cut it. It is essential in a disc lock that at least the lock-bolt, which is the component most highly stressed during any attempts at theft, is made of steel and that it is hardened to withstand any blows. The most solid disk blocks are those where the entire body is made of steel. 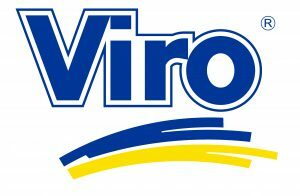 The Viro New Hardened, for example, has a single-piece body made of casehardened, tempered and painted steel. The lock-bolt, which can have a diameter of up to 14 mm, is made from the same materials. It is therefore an anti-theft system which is not only resistant to attacks with hammers, levers and cutting tools, but also to key-bumping, thanks to the lock being made of a 6-pin plug. A lock-bolt made of copper-plated, nickel-plated and chrome-plated steel (such as that of all the Viro disc locks) is more resistant to oxidation and corrosion, thereby ensuring a longer life, even if used outdoors and in harsh climatic conditions, which is typical for a disc lock. Breaking or opening a disc lock, just like any common padlock, is easier if it can be grasped firmly. 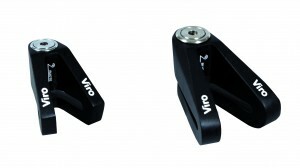 For this reason, the best disc locks have rounded shapes which make it difficult to grip them with a tool; this is the case, for example, of the Viro Armadillo, which features the particular “scales-like” design of the body. As always, we recommend combining an electronic protection with a mechanical protection. A disc lock with alarm corresponds to our idea of ? ?dual protection in a single body. It is generally equipped with one or more sensors which are able to detect attempted thefts and activate a siren which disturbs the possible thief. The disc lock with Viro Echo alarm, for example, is equipped with a sensor which is able to detect movement of the vehicle, and, therefore, a likely attempt to steal it. The more advanced Viro Sonar is, on the other hand, equipped with 2 sensors, one detecting movement and one detecting vibration. 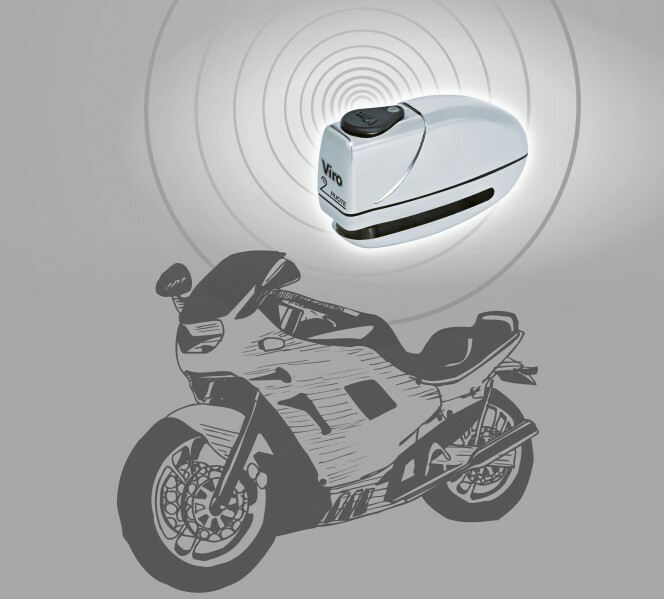 It is therefore able to detect not only attempts to steal the motorcycle, but also attempts to tamper with its protective devices, including the disc lock. 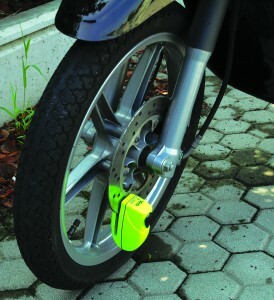 A disc lock with alarm therefore represents a good combination to increase the security of your 2-wheeled vehicle.